Suitable for coating VHB acrylic foam tape jumbo rolls. 1. PLC control and interface operation. 2. Multi unwind and rewind shafts, multi-layer laminating and stripping the base film. 3. 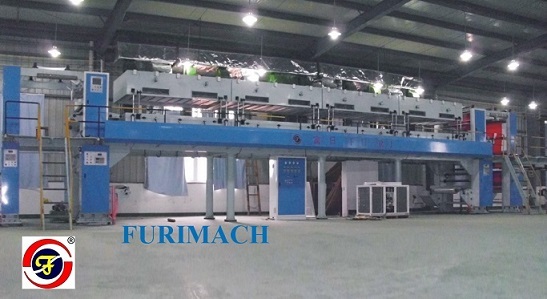 The machine is stable with average glue coating and energy saving. 4. Automatic unloading, rewinding and film receiving without stopping the machine. 5. Operation is simple, unwind & rewind by inverter motor control. 6. Auto sectionalized tension control and auto multi-point EPC system. 7. UV lamp heating & curing is used as heat source to save cost and protect environment.